eng With an Introduction and Notes by Dr Sally Minogue Elizabeth Barrett Browning was such an acclaimed poet in her own lifetime that she was suggested as a candidate for the Poet Laureateship when Wordsworth died in 1850. Yet today we have only a limited knowledge of her considerable life's work as a poet, in part because of a lack of representative but accessible editions of her work. Readers will find here not only her well-known sonnet sequence of love poems, Sonnets From the Portuguese, but also lesser known sonnets, some in praise of the cross-dressing bohemian writer George Sand, others to contemporary poets and artists. Her religious and spiritual poetry echoes that of the Metaphysical poets. A different voice emerges in her social and political protest poems, such as 'The Cry of the Children' and 'The Runaway Slave at Pilgrim's Point'. Her experimental ballads allowed her to develop a distinctive way of writing about women within an apparently conventional form. In the outstanding work of her maturity, Aurora Leigh, the woman's voice takes centre stage. This 'novel-poem' is full of verve and interest, with a female poet-hero who casts a caustic eye on life and on her fellow men - and women. We all think we know the story of Elizabeth Barrett Browning - the mysterious illness which enclosed her in her room, her over-loving but imperious father, and her romantic, secret marriage to the poet Robert Browning and their life together in Italy. But this comprehensive selection of her poetry tells the real story of her sustained creative life as a poet, which began with her childhood poetic ambitions and ended only with her death. 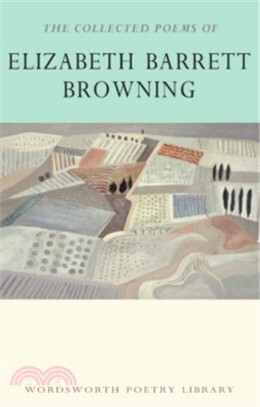 All the major aspects of her poetry are represented in this accessible edition which is well-annotated and contextualised, with a wide-ranging introduction which covers Barrett Browning's poetic and intellectual life as well as her personal one. Recent critical re-readings, including major feminist reassessments, of her poetry are covered in the introduction, with helpful suggestions for further reading.